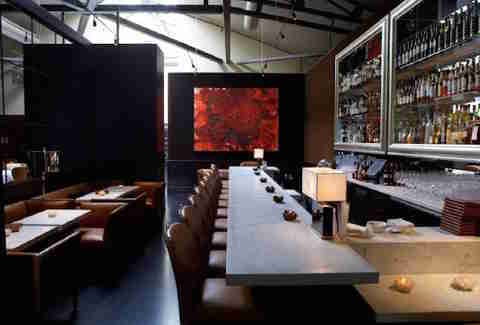 One of the best things about living in San Francisco is the fact that we have 21 restaurants with Michelin stars. One of the worst things? The fact that you can't afford to eat at... any of them. OR CAN YOU? We sat down and did the kind-of-hard math to figure it out and ended up with this list of 11 Michelin-starred restaurants that offer the best bang for your buck. 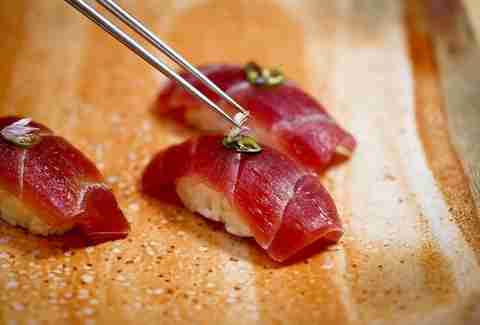 Located in the St. Regis Hotel, Ame is all about New American food using local ingredients. The good news for you is that the menu is a la carte, which means if you skip the appetizer (average price $17) and the sake, you can get in and out for under sixty bucks (including tip and tax). Your best bet is probably the Taste of Ame Sashimi Bar, which includes crudo, poke, Lissa’s (she’s one of the owners) Staff Meal, ceviche, and kaisen salad for $44. Aziza’s reinventions of traditional Moroccan dishes are actually all incredibly affordable, so if you want to go crazy at a Michelin-starred restaurant, this is where you should do it. Starters range in price from $7 (olives) to $22 (duck confit basteeya), but you can get the couscous entrée for 19 bucks. The key to eating “cheap” at Boulevard is to go there for lunch and to order the $10 soup of the day or the $13 roasted beet salad. Seriously though (okay, fine, we kind of were being serious), dinner entrees at Boulevard will set you back anywhere from $34 (for the local Petrale sole) to $48 (for the filet mignon). So skip that and instead go at lunchtime and order the $14.75 American Wagyu beef burger, which isn’t even on the dinner menu but definitely is delicious. Only bummer? It’s gonna cost you $6 to add fries and obviously you’re adding fries. 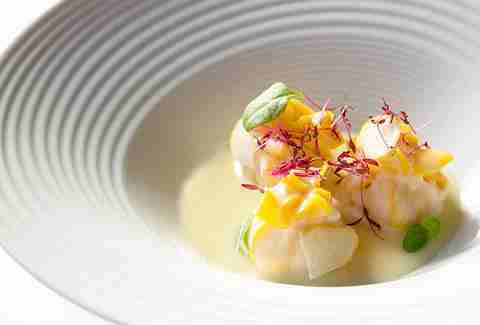 The nine-course Degustation Menu in the main restaurant at Campton Place is $125. Skip that and grab a seat in the Bar & Bistro, where you can order an aged New York steak (with French fries and mixed greens) for $36 or a chicken club sandwich for $19. If you really want to try the Chef’s Tasting Menu though, go to the restaurant at lunch time where five courses are just $85. Chef de Cuisine Daniel Corey's tasting menu is $95 and dinner entrees are about $40, but lunch is very reasonable with a $17 burger and a $26 salmon dish that’s the most expensive thing on the menu during that time. The Chef’s Tasting Menu is $165 per person and the four-course dinner menu is $95. Ignore that and instead grab a seat in the bar where the food is still pricey (salads start at $20), but not as pricey. Like, you can have the butter poached Maine lobster ($37) and a cocktail ($15) and only walk out $65 poorer (after tip and tax). 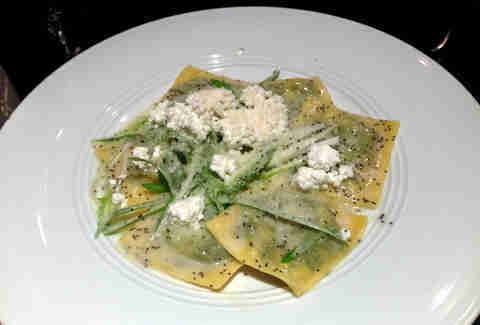 Sure, SPQR seems expensive when you consider you’re paying around $27 for pasta, but ohmygod, the pasta. Worth every penny. Even if you literally have to smash open your piggy bank and pick them off of the ground. Dinner in the dining room at Spruce is expensive. The cheapest entrée is $29 and that’s a roasted chicken and who orders chicken when they go out to dinner? But why would you even want to eat in the dining room anyway? Their famous $18 burger is only served in the bar and lounge so find a seat in there and order that. Or, go at lunchtime when the menu is decidedly more affordable. But the burger still isn't on the menu during the day unless you go for brunch on Sunday. 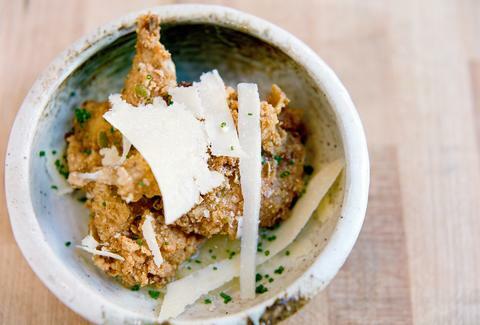 State Bird Provisions is legit affordable. The trick to dining at this spot is getting in. Once that happens, you can feast on appetizers ($3-12) and small shared plates ($9-20). Now that there's another star in the mix, it's time to say bye bye to a la carte options and hello to prix fixe tasting menus. 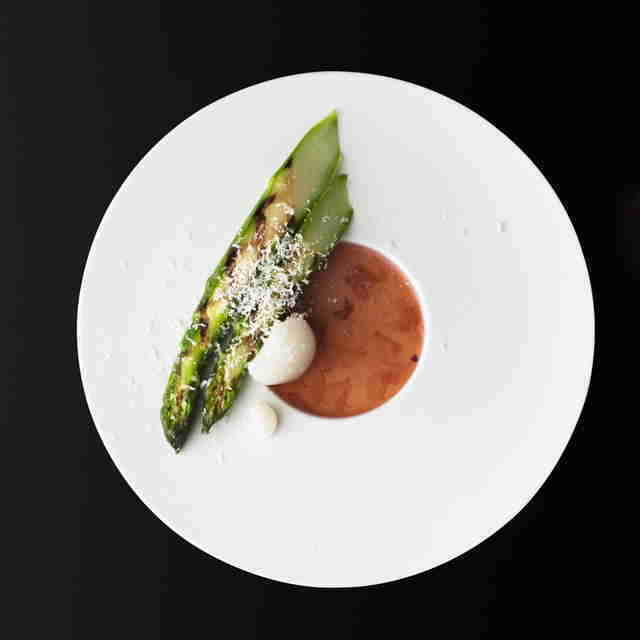 San Francisco has four two-starred Michelin restaurants and though the meal we had at Atelier Crenn was, fittingly enough, pure poetry, there's no way to justify a $220 tasting menu as a good deal. Same thing with Quince and its $198 nine-course tasting menu and Coi and its $195 one. The fourth restaurant, though? A little more reasonable. Just barely. You're going to have to pay if you want to eat at this 25-year-old restaurant that serves both classic and contemporary Italian dishes. But if you want to pay a little less, leave the $185 seasonal tasting menu alone and do three courses for $95. Just know, that averages out to about $32 a course, meaning your best bet deal-wise, weirdly enough, is to actually go for four ($120; $30/course) or five ($140; $28/course). Benu's Korean and Chinese-influenced food makes up some of the best bites you'll ever eat -- and the “shark fin soup” with Dungeness crab and Jinhua ham custard is one of those dishes you'll be dreaming about for years to come. Best of all, it's $228/person -- a full $170 cheaper than Saison for the same amount of Michelin-ness and 17 courses, which comes out to just $13.41 a course. What a steal! Daisy Barringer is Thrillist's SF Editor and the truffle course at Saison (which costs extra, of course) actually made her cry. It was that good. Follow her on Twitter @daisy to see what else makes her cry. Spoiler: it's mostly powder days, 49ers football, and Grey's Anatomy.